Каталог Goodyear Wrangler HP All Weather - Шины и диски в каком интернет-магазине наиболее качественные? Goodyear Wrangler HP All Weather 215/75 R16 103H 4 шт. Goodyear Wrangler HP All Weather 225/75 R16 104H 2 шт. Goodyear Wrangler HP All Weather 235/55 R19 105V XL 4 шт. 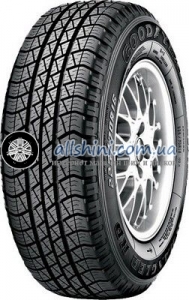 Goodyear Wrangler HP All Weather 235/60 R16 100V 1 шт. Goodyear Wrangler HP All Weather 235/60 R18 103V 4 шт. Goodyear Wrangler HP All Weather 235/60 R18 107V XL 4 шт. Goodyear Wrangler HP All Weather 235/65 R17 104V 4 шт. Goodyear Wrangler HP All Weather 245/60 R18 105H 4 шт. Goodyear Wrangler HP All Weather 245/65 R17 107H 8 шт. Goodyear Wrangler HP All Weather 245/70 R16 107H 4 шт. Goodyear Wrangler HP All Weather 255/55 R19 111V XL 8 шт. Goodyear Wrangler HP All Weather 255/60 R18 112H XL 8 шт.